As I've mentioned before, unfortunately during pregnancy there is a whole long list of things you're not supposed to eat. One big one that seems to really be irking me is deli meats. All this girl wants is some sliced turkey! I've come up with a couple of solutions and if you don't like the sound of them don't try them but don't turn up your nose, cause a girls gotta do what a girls gotta do. I've heated up sliced deli meat in the microwave - yep you read that right. I got sliced turkey from whole foods, shaved thin, and then heated for 45 seconds in the microwave until it was steaming/crackling and 160 degrees. And honestly it was really good. Anyways, after roasting an entire turkey breast, using some for sandwiches, some for turkey tetrazzini, I decided to use some for a breakfast sandwich. First, get a small pan hot over medium/high heat with a tiny bit of butter or oil and brown your turkey (same if you're using ham). Remove and set aside. 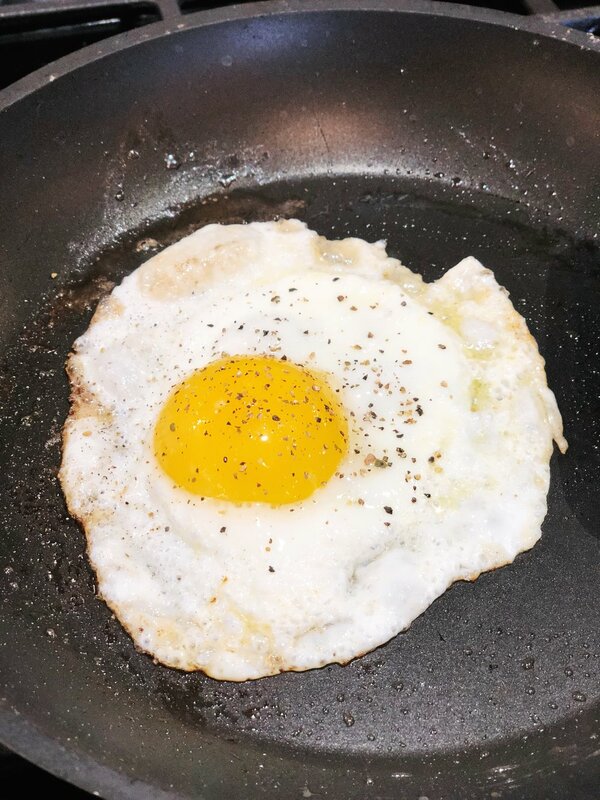 While your bread is lightly toasting in the toaster, crack an egg in the same pan and cook until the yolk is firm. 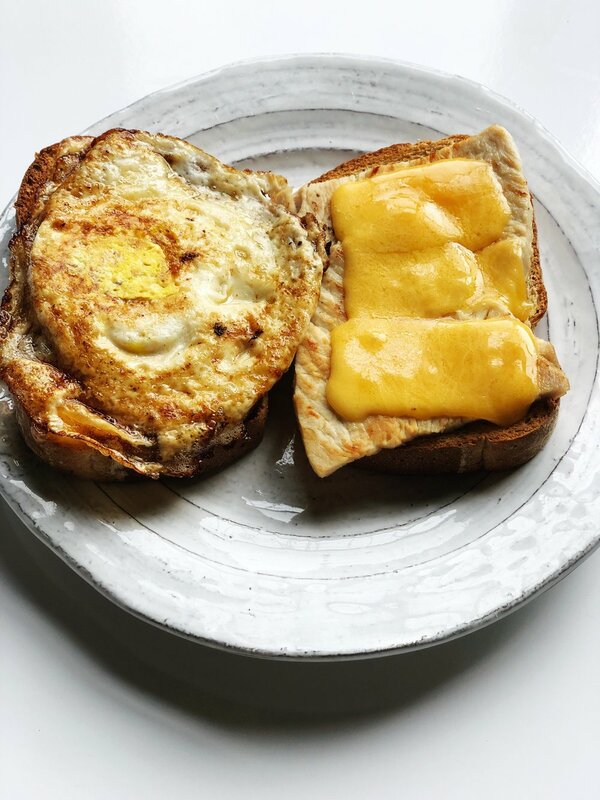 Place your toast open face on a baking sheet with the turkey on one side, egg on the other, then add the cheese on top of the turkey and place in the oven on broil until the cheese is melty/bubbly. For product details on the kitchen tools I used to make this and the serving pieces in these photos head to my LikeToKnow.It Page or shop directly below!